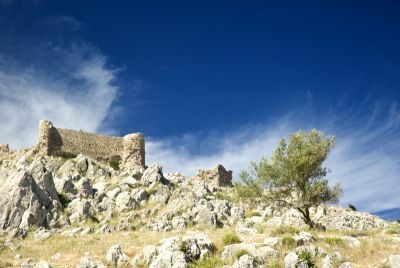 Feraclos (Feraklos) Castle The castle of Feraclos (Feraklos) lies 150m high on a very sharp and rocky hill, on the eastern side of the island, overlooking the bays of Haraki and Agathi, opposite the coast of Asia Minor. 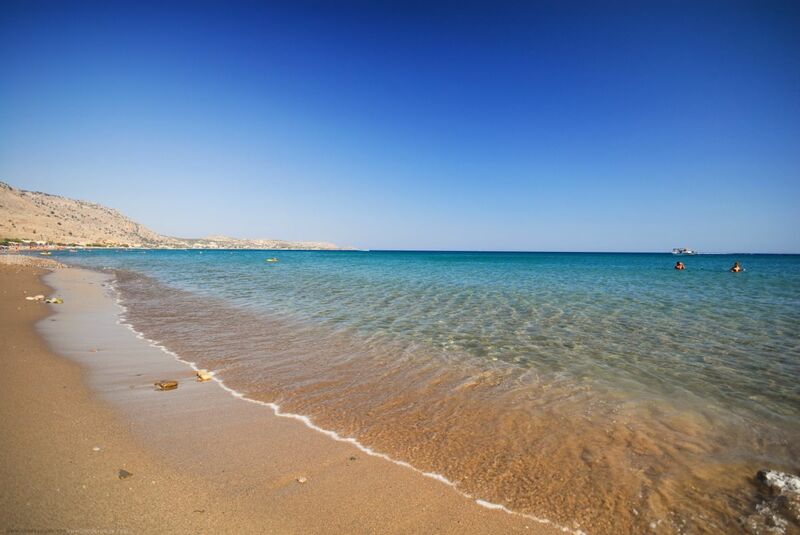 The beautiful sandy beaches of Lardos are known as some of the best beaches on the island. Crystal clear waters, and gently rolling surf make for an idyllic atmosphere for fun in the sun, or relaxing on the many sun beds under the shade of an umbrella. There are many tavernas along the beach where you can get a chilled drink or a quick snack while you soak up the sun. Alternatively, there are a wide range of water sports to choose from, and even a go-kart track for fast, but safe, fun for the whole family. You will find all sorts of accommodation facilities along the beach. The waters here are shallow, so it is also well suitable for younger children. 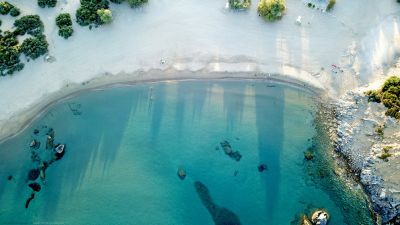 Glystra beach is a beautiful little cove with fine sand, popular with those who want their umbrella and some peace. 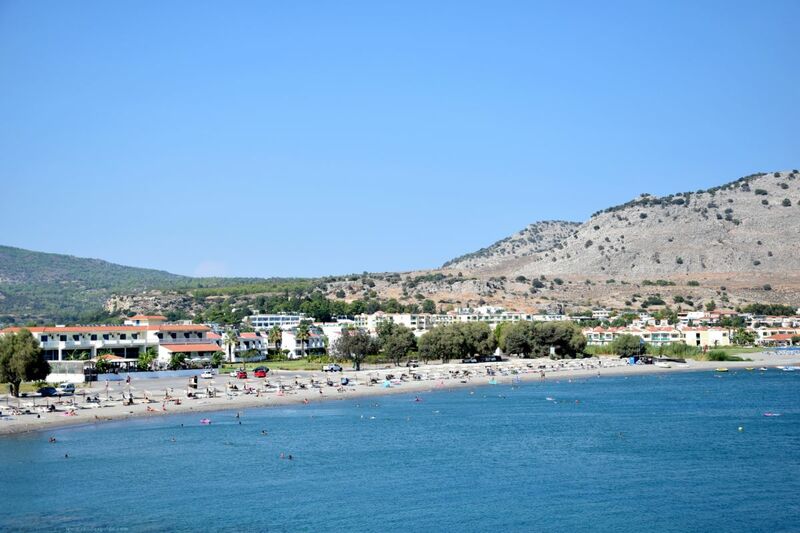 A relaxing and family atmosphere characterizes the beach resort of Stegna. It is located just 500 meters away from the village of Archangelos, ans it is an ideal place for people looking for relaxation and a traditional "village" feeling. 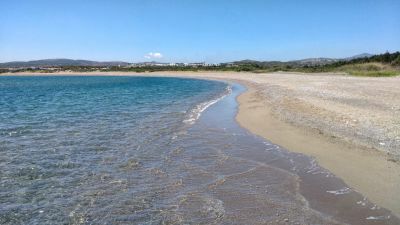 Plimmiri beach (or Plymmiri beach) is on the southeast side of the island, about 70 km south of Rhodes Town. This area is not heavily developed yet.